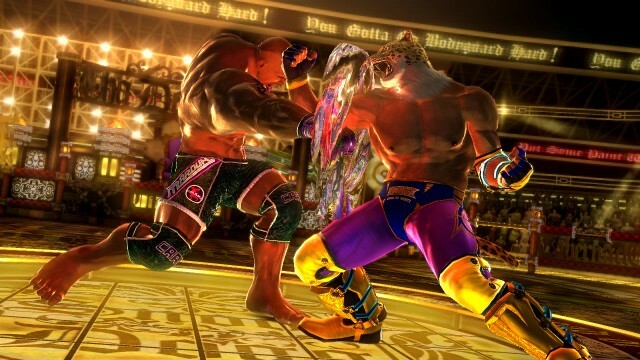 Tekken Tag Tournament 2 is the most robust, full-featured Tekken game to date, and deserves a spot in any fighting fanatic's collection. 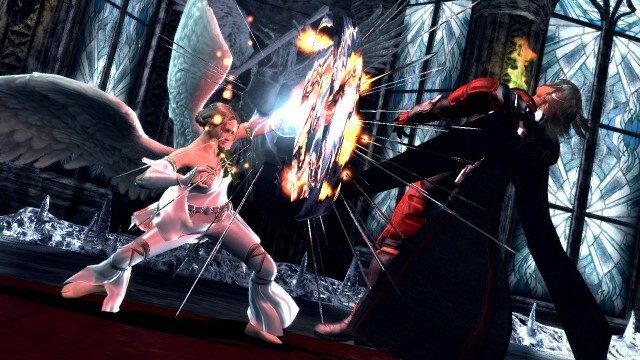 It’s been more than a decade since the last Tekken Tag Tournament game appeared in arcades and PS2s, and it’s still regarded as one of the series’ best. The innovative tag system that never appeared in any other Tekken game to date has reached cult status, and is still played in tournaments worldwide. Finally, those fans can upgrade with Tekken Tag Tournament 2. Although the game has been floating around in Japanese arcades for a year now we just received it here in North America. We’re getting the better version of the game, with a handful of console exclusive characters added to the already enormous roster, as well as a few modes you won’t find in an arcade cabinet. 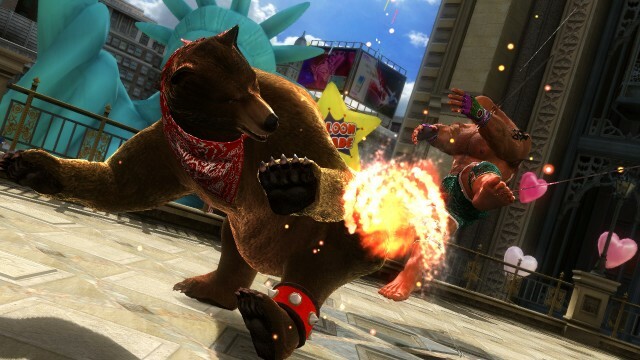 Tekken Tag Tournament 2 chooses to be built like the old-school fighting games of yesteryear. There’s no distracting mini-games, no unnecessarily confusing story, just fighting. That’s all the game ever really needs to be. You’ve got your standard arcade ladders, quick match, VS. mode against other humans, a chance to team up with them, and training modes. Anyone who’s played any kind of fighting game will be familiar with the offerings here. And if you haven’t played a fighting game before, the game has a new Fight Lab mode with the hopes of easing new players into the mechanics of a game like Tekken. Even the Fight Lab has somewhat of a story to help keep new players interested. You play as a Combot being built from the ground up to be as masterful a fighter as any of the elite in the King of the Iron Fist Tournament. Throughout several stages and chapters, players will be walked through how to aim high, mid and low moves, how to block, how to counter, how to grab…eventually getting into the higher-end moves like tag assaults. While the Fight Lab mode does a fairly good job initially, there’s a bit of an unfair learning curve. I tested the Fight Lab mode with someone who the mode was specifically marketed towards; someone who had only casually played fighting games in the past and had never played a Tekken game. My guinea pig got through the first few stages pretty easily, but encountered trouble and frustration after only the third chapter. After trying it myself, even I agree that what was being asked was a bit too much for a new player. There’s great intentions here, but I feel like new players may be disappointed that they still can’t play the game as well as some others. However, one could argue that Tekken Tag 2 isn’t a game built for newer players anyway, and that can be seen through the number of things put into the game as far as stat tracking. The World Tekken Federation built into the online system features a robust set of features, including full metrics for matches instantly after completing one, oodles of customization options, analysis of opponents, and that’s just scratching the surface. These features won’t mean a lot to someone like me, who’s somewhere between casual and professional when it comes to fighting games, but these tools will be very useful to those that eat, sleep and breathe the genre. I should note that, as of this writing, the servers for online play have been unstable due to testing. However, the servers should be worked out by the time the game launches. For what it’s worth, Namco’s other flagship fighting game, SoulCalibur V, had a flawless online system, so I expect Tekken to be the same. Something I perhaps didn’t expect was the character customization mode. No, you can’t make your own characters for whatever reason, but you can take some of the almost 50 characters in the game and change a few things around. Ever wanted to see a raptor wearing boxing gloves who wields a futuristic assault rifle and has a propeller on his head? Just take Alex and go to town. Ever wanted to see what Kazuya would look like with butterfly wings? You can do that, too. It’s really cool to see the level of stuff you can do to Tekken‘s iconic characters. You wouldn’t see other fighting franchises let you do that. The other thing I’m blown away by is how great the game looks. Most other fighting games sort of get away with having lackluster backgrounds or character models because you likely won’t be paying that much attention, or the detail will be wasted once everything goes into motion. But Tekken Tag 2 takes everything to a whole new level of eye-candy. You can see subtle veins throbbing in muscle-bound arms, you can see just how gross Ogre’s snake arms look, you can see clothes and apparel and even background stuff break away with amazing detail as a battle mows over them. If nothing else, Tekken Tag 2 may be the best-looking fighting game of all time. When I reviewed Street Fighter X Tekken earlier this year, I criticized the game for being built for the professionals, and really neglecting those who want to be invested into the franchise. Unfortunately, Tekken Tag Tournament 2 falls into the same trap. There’s not a whole lot here for those with just a passing interest in the franchise. Even the attempt at introducing the game to new players in the Fight Lab doesn’t hold up as Namco had probably wanted. That being said, there’s a fairly big discrepancy between the rating for Street Fighter X Tekken and Tekken Tag 2. Both games have your traditional modes with very few offerings for the casual interest. The major difference is the overall intention of the game. Street Fighter X Tekken is, at best, a neat idea that resulted in a game that’s a bit of a novelty, and the mechanics aren’t necessarily those that will continue in further installments of the series, meaning even new players who want to become well-versed in the game shouldn’t play this one. Super Street Fighter 4 is considered in higher regard than Street Fighter X Tekken. Tekken Tag Tournament 2, meanwhile, has a ton of modes, the biggest roster the franchise has ever seen, looks and plays amazing, and, like its predecessor, will continue to be played for years to come. Tekken Tag 2 sets a standard for the franchise that will be looked back upon for console generations. This is a great entry point in the franchise, which means my biggest complain of Street Fighter X Tekken not having enough accessibility is null and void in this respect. It’s impressive that so much content is packed into Tekken Tag 2. 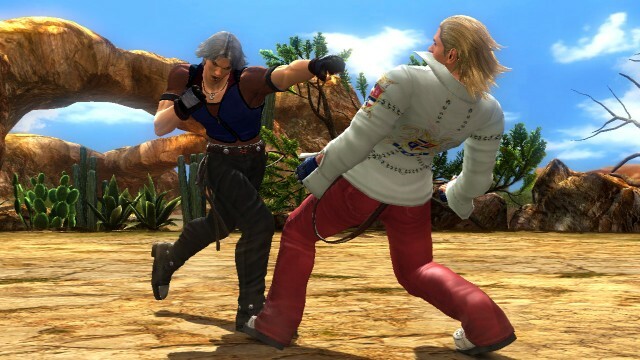 From earning the endings for all of the characters on the entire roster to honing your skills using the World Tekken Federation online to mastering your technique in the Fight Lab to having actual unlockables rather than hiding everything behind a wall of DLC, players will always have something to do or fight or unlock. If you’re looking for an entry point into one of the world’s most popular fighting game franchises, or you’re a hardened professional looking to keep your skills up-to-date, this game needs to find its way to your shelf.